We’ll be keeping this page updated. 2018 was an interesting year for cooperative board games. The best of the best weren’t quite as strong as they were in 2016 and 2017, in my opinion, but it did seem like my group enjoyed a higher percentage of games than we did in past years. There are quite a few 2018 co-ops that we still need to play, so there’s a good chance this list will change. 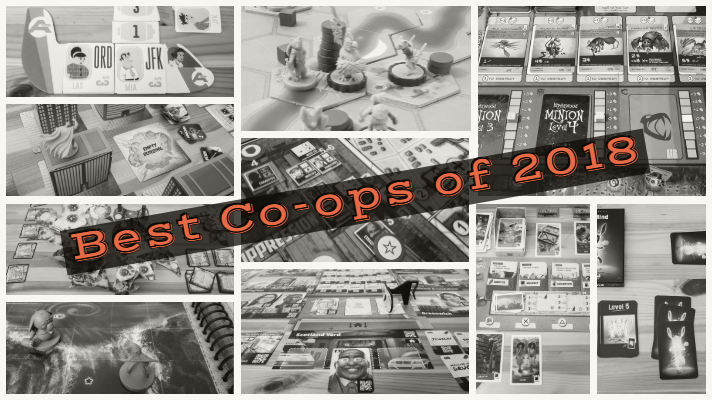 Okay, let’s get to it… Here are my group’s Top 10 Cooperative Board Games of 2018! 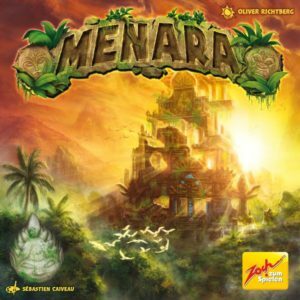 Menara was one of the biggest surprises of the year for me because the designers found a way to make a cooperative dexterity game that has plenty of replay value. Working as a team to figure out how to rebuild the ancient temple is both challenging and entertaining. It’s more of a gamer’s game than a party-style dexterity game, which is great. 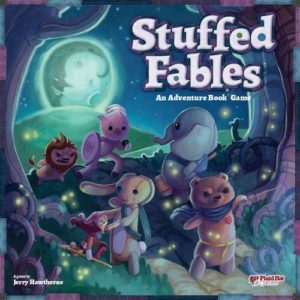 Stuffed Fables is a storytelling game with excellent writing, but it’s much more than that. Each page of the adventure book will give you new rules to learn and new challenges that you will need to deal with. It’s a game that’s ideal for parents who want to play through a game with their kids, but a lot of adult gaming groups have enjoyed it as well. 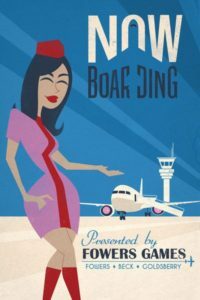 I’ve had a chance to play Now Boarding with more people since I wrote my review and it continues to go over well. I’ve found that some people don’t like the stress of real-time games unless they can get into the theme, and this is a theme that most people can get into. It’s a lot of fun upgrading your planes and working with your teammates to get all of the passengers to their destinations on time. 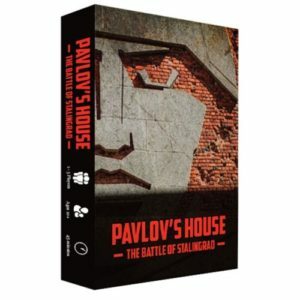 Pavlov’s House was designed to be a solo war game, but it also works extremely well as a two-player co-op. One player will be inside of the building trying to fight off the Germans and the other player will be sending reinforcements in and keeping the Germans from getting a good offensive position outside of the building. It requires good teamwork and it feels great when you’re able to keep the Germans from making it into Pavlov’s House. 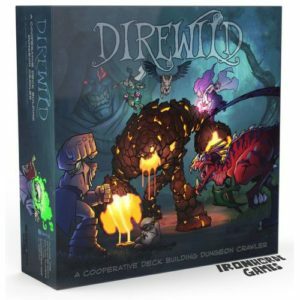 Direwild is the best co-op deck building game of 2018 that my group has played so far. The deck building is a ton of fun because you know that you’re going to end up creating some unique creatures to help you along the way. It’s a deck builder that doesn’t need a bunch of expansions to give it high replay value because there are already a ton of cards in the game and it was designed in a way that makes each game play out quite differently. 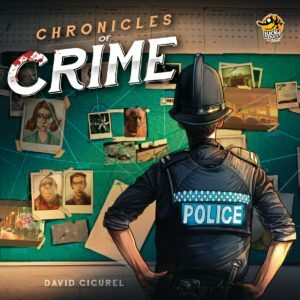 Chronicles of Crime was easily one of the most hyped board games of 2018, and I don’t think anyone ended up feeling disappointed by it. It’s a detective game that has players trying to solve cases by visiting different locations in London and interrogating people. You use your mobile device to scan QR codes on the people, locations, and items you’re interested in and you’re hoping to solve the cases in time. My group had a blast playing through all of the initial cases and we’re looking forward to playing the expansions. 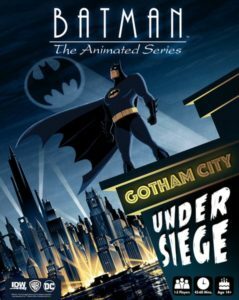 Batman: The Animated Series – Gotham City Under Siege is definitely a game you’ll want to check out if you’re a fan of the Batman animated series and you like dice rolling games. What makes it so much fun is that you have a bunch unique hero powers and you really do feel like superheroes when you’re able to deal with all of the villains and events that pop up. 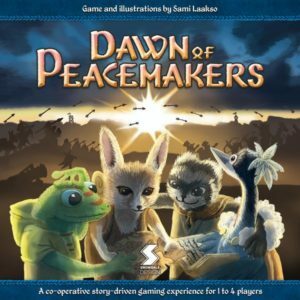 There is a lot to like about Dawn of Peacemakers. It has a very cool and unique theme, there are a bunch of great surprises that pop up throughout the campaign, and it looks fantastic on the table. Plus, you can get a lot more plays out of it even after you’re done with the campaign. It’s definitely a game you should check out if you like the theme. 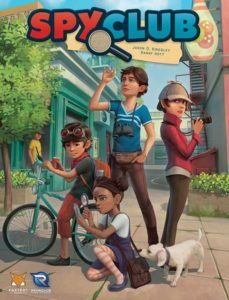 Spy Club is a detective game, but it’s very different than all of the other detective games that came out in 2018. In Spy Club the cases will always play out differently and the campaign deck brings in even more surprises. It’s a detective game, but it also has set collection and a little bit of storytelling. You’ll look at the box cover and think this game is for kids, but really it’s a game that just about any group will enjoy. 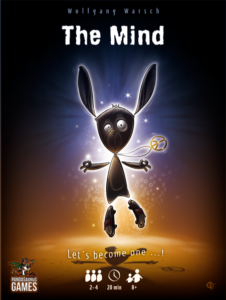 The Mind is easily the smallest and least expensive game on this list, but it’s also the closest to being perfect for what it is. All you’re attempting to do is play cards in the correct order, but the twist is that you don’t know what cards the other players are holding. My group is always looking for games that create “Wahooo! !” moments, and we’ve had about 100 of those moments while playing The Mind. What are your favorite cooperative board games of 2018? Are there any that you’d recommend that aren’t on this list?